The WavePark is a unique multi-functional facility conveniently located on the north side of the popular Gateway Theatre of Shopping. 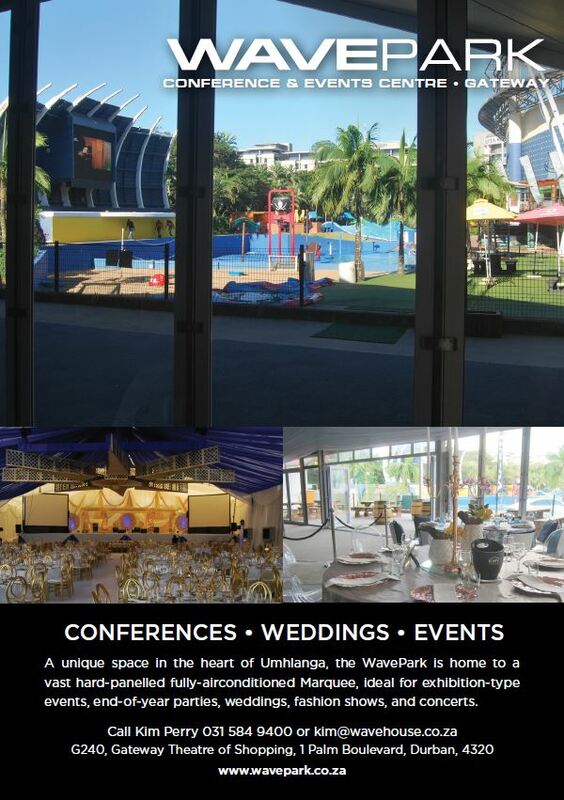 An indoor-outdoor oasis in the heart of Umhlanga, the WavePark is a relaxed yet upmarket venue in park-like surroundings where visitors can take advantage of Durban's all-year-round summer! Additional benefits include abundant parking and mall security. Incomparable to any other venues in the region, The hard-panelled Marquee is a fully-airconditioned blank canvas which can be customised to perfectly suit any event. Unleash your creativity in this 20m x 40m space, which has successfully hosted exhibition-type events, end-of-year parties, weddings, fashion shows, and concerts. Conference packages are available and can be customised to suit your needs. Apart from venues for hire, the WavePark is a funfilled family park where children can slide, splash, ride, surf, play and, more recently, explore our incredible inflatables. The WavePark is home to South Africa's biggest supertube with a radical 180m descent, and then there's the FlowRider - an epic constant wave suitable for experienced and eager-to-learn board-riders. A variety of membership packages are available. Visit the website for further details. Tap and Board House is a modern foodie hang out with your favourite drinks, including craft beers, G&T, and wine on tap. A perfect place for families to enjoy delicious craft style foods in a great atmosphere. Also available for private birthdays and functions. To promote a safe and secure environment where families can congregate and have loads of fun. 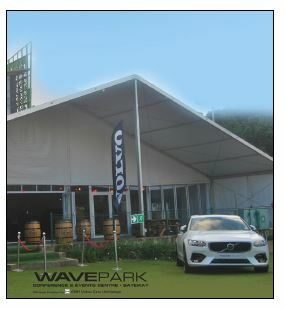 Website: www.wavepark.co.za for more information.